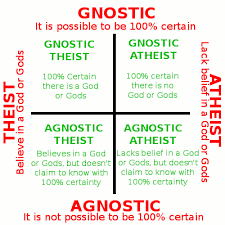 2 Responses to Secular Humanism and Agnostic Theism? Wow, this is such a reasonable essay. Thank you for suspending belief! I’m of the same persuasion, or lack thereof. ha ha. I’ve been a Buddhist, secular humanist, Gnostic-curious, Love-is-the-answer-ist, wtf about Archons? !, and then, hmmmm, Archons would explain the constant mess of humanity, etc. and Advaitist (which you don’t give mention to – a non-hindu Indian spiritual path). At this point, I have to say: I don’t know. Are all religions and theistic structures human-made mythos? They don’t seem to be serving peace, which is a problem. The selfish, violent side of humanity has me stumped. In keeping with your reference to Dr. Strange, it may be naive to think that God and heaven lies beyond the veil and we are only struggling with hierarchy and separatism on the planet. If evil can exist in the mind, can’t it exist in other dimensions? That would speak for a good and evil universe at other levels that perhaps interacts dualistically and then transcends at some other level of the “multiverse”into a god-state (unity). Or is hostility and war a manifestation of the survival mechansims inherent in being in a world of “so-called” limited resources. Is it possible that the world is a learning planet, a test; the goal is to graduate or regress (heaven and hell; ascension; reincarnation; travel the universe! ); or is the world a matrix, a trap that we have to decode? Both seem over simplified. Is evolution smart and/or loving; does it have a purpose or is it random (lacking in spiritual direction), but efficient? I feel we have not been given the equipment to know. Mind boggling. Thanks for dropping by this wayward out back on the net, Jeanette! And for offering up such a thoughtful comment….. Your queries come down to whether consciousness precedes matter which is the idealist position if one holds that it does. I think it quite well may, but I hold that as personal opinion only as the evidence is pointing more and more in the other direction. Let’s remember that personal opinion on the matter of metaphysics is a logical fallacy, so we need to tread carefully on this issue and appeals to group authority are just as problematic when it comes to mysticism. But even materialism still holds the possibility that E.T. could be God and there are multiple dimensions, so it’s not cut and dried. So, having said that: I think Archons exist and my money is we are in an entertainment place for consciousness. The Archons rule this plane and God is somewhat redundant as far as humanity goes, or God is impersonal as far as humanity is concerned, but The Archons are indeed dealing with us personally…..